The following information was provided by Martha Lightfoot who is the present owner of the Harriman House. Mary Harriman donated her house to the Episcopal Diocese of Buffalo where it was used as a summer residence for ministers. Over a period of approximately 10 summers (beginning in the 1920s) two Episcopal missionaries (Reverend Francis James Cotter and his wife Ida) stayed here. They had four children; two boys and two girls. The two girls (Audrey and Jayne) would become famous actresses and would use the last name Meadows as their stage name. A long time Sodus Point native, Fanny Ball would play the piano for these two girls on the side porch which was open at that time. In those days, the house was painted yellow with green shutters and was called “The Yellow House” . The following information about Audrey and Jayne comes from Wikipedia. The younger of these two girls was Audrey Meadows. She was best known for her role as Alice Kramden (“Someday Alice…right to the moon!”) in the 1950’s TV comedy, The Honeymooners, playing opposite Jackie Gleason as his deadpan wife. Meadows appeared in a number of films, worked with Dean Martin on his television variety shows and celebrity roasts, and then returned to situation comedy in the 1980s playing the mother-in-law on Too Close for Comfort (1982-1985). She guest-starred on The Red Skelton Show show, made an appearance in an episode of “Murder, She Wrote” (“If The Frame Fits”) and made an appearance in an episode of The Simpsons (“Old Money“), wherein she voiced the role of Bea Simmons, Grandpa Simpson‘s girlfriend. Her last work was on the sitcomDave’s World, in which she played the mother of Kenny (played by Shadoe Stevens) . Audrey Meadows older sister was Jayne Meadows. Meadows’ most famous movies include: Undercurrent (with Katharine Hepburn), Song of the Thin Man (with William Powell and Myrna Loy), David and Bathsheba (with Gregory Peck, Susan Hayward and Raymond Massey), Lady in the Lake (with Robert Montgomery and Audrey Totter), Enchantment (with David Niven and Teresa Wright), and City Slickers (as the voice of Billy Crystal‘s oversolicitous mother). She was a regular panelist on the original version of I’ve Got a Secret and an occasional panelist on What’s My Line?, the latter alongside husband Steve Allen. She also appeared on the NBC interview program Here’s Hollywood. During the early days of the burgeoning live entertainment scene in Las Vegas, the Allens occasionally worked together as an act. She has also been active in Republican affairs although Steve Allen was a Democrat. She is the recipient of several Doctor of Humane Letters degrees from various universities. She was married to Steve Allen from 1954 until his death in 2000. They had one son, Bill. Allen’s three children from his first marriage (Stephen Jr., Brian and David) are her stepchildren. She was credited as Jayne Meadows Allen for much of her marriage. He is sometimes confused with the famous amateur golfer and Grand Slam winner, Bobby Jones, with whom he worked from time to time. Born in Ince-in-Makerfield, England, Robert Trent Jones accompanied his parents to the United States at the age of five. The family settled in East Rochester, New York where young Robert took a job becoming the first golf professional at Sodus Bay Heights Golf Club which is located in the Sodus Point, NY area. He became an avid and skilled golfer as a youth, but health problems prevented him from joining tournament competition. Jones attended Cornell University, where he designed his own course of study to become a professional golf course designer, taking courses in landscape architecture, agronomy, horticulture, hydraulics, surveying, public speaking, and economics. During his studies at Cornell, he designed the back nine of Cornell’s Robert Trent Jones Golf Course. The course was not used until 1941. Jones later returned in 1954 to complete the front nine. At Cornell, he was a member of Delta Kappa Epsilon fraternity. The golf course at Green Lakes State Park in upstate New York was designed by Robert Trent Jones and opened in 1936. After receiving his college degree, Jones formed a partnership with Canadian architect Stanley Thompson, and helped design several courses in Canada, including Capilano in Vancouver and Banff in the Canadian Rockies. In the late 1930s he struck out on his own and began designing and building local golf courses in America. Many of these, such as the 1936 course at Green Lakes State Park (see photo), were built using labor provided by the Works Progress Administration. Shortly after World War II, Jones got his first big assignment designing the Peachtree Golf Club in Atlanta in collaboration with golf legend Bobby Jones. Despite the similarity of their names, the two men were not related. In fact Robert began using the middle name “Trent” shortly afterward to avoid confusion. Jones’ courses are noted for their artistic landscaping, innovative use of bunkers, liberal use of water hazards, and deft placement of greens and hazards that encourage a high level of strategy. He believed that golf should be a no risk; no reward sport and his designs encouraged daring play. Jones continued working well past usual retirement age, often working on several courses at the same time. Following a period of failing health, he retired to his home in Fort Lauderdale, Florida. He died there peacefully just a few days short of his 94th birthday. His sons Rees Jones and Robert Trent “Bobby” Jones, Jr., have followed in his footsteps and are now course designers. He sometimes collaborated with his sons. For example, his last design, The Marshes in Ottawa, Canada, is a collaboration with Robert Trent Jones, Jr. and was finished after his death in 2000. Jones received the 1987 Old Tom Morris Award from the Golf Course Superintendents Association of America, GCSAA’s highest honor. 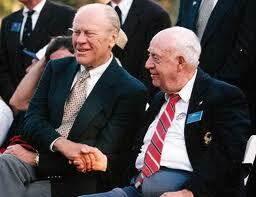 He was also inducted into the World Golf Hall of Fame in 1987 as well. 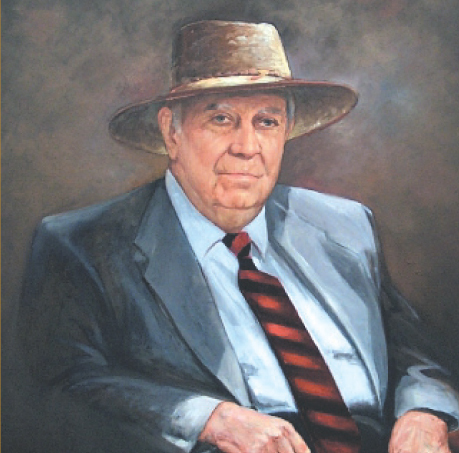 Robert Trent Jones Golf Trail, Alabama, 1992-2005 – 2 New courses added by his company after his death.